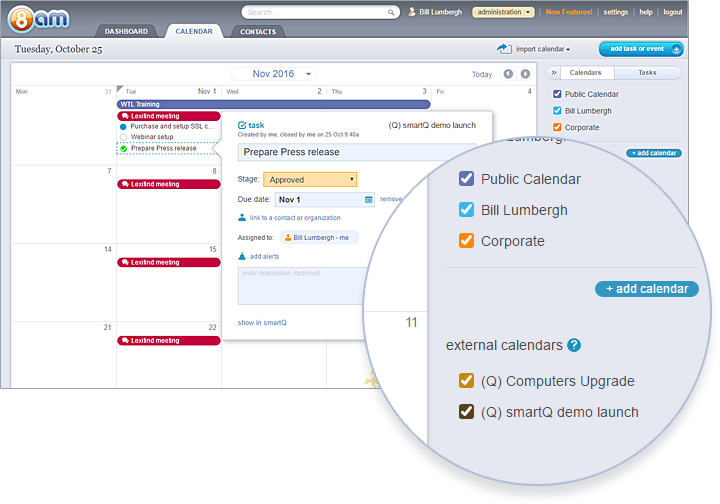 8am is a contact management and calendar tool that can complement smartQ. You can display smartQ tickets in 8am calendar view — drag them around to change the deadline, edit the stage (column), etc. You can display tickets from multiple smartQ projects in 8am, link them to 8am contacts, add automatic alerts to them, and more! 8am and smartQ can work together effectively. 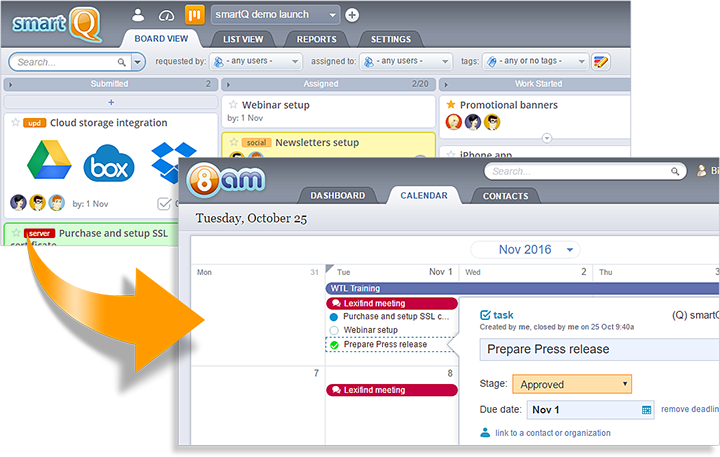 8am can manage the general information about your clients, all the notes and communications, events, meetings and even small tasks. smartQ can manage the projects workflow for those clients.